If you’re visiting Hamilton Health Sciences, learn about our visiting hours, parking lot locations, guidelines, and how to locate a patient. Visiting hours are open. In most cases, family and friends can visit patients at any time of the day as decided by the patient and based on their care needs. Visitors are reminded to be respectful of the other patients and families in close proximity or who share the same patient room. There may be times when the care team needs to limit the number of visitors. Patients appreciate encouraging words and wishes for a speedy recovery. Send an email message to a Hamilton Health Sciences patient admitted at one of the following locations: Hamilton General Hospital, Juravinski Hospital, McMaster University Medical Centre (MUMC) and St.Peter’s Hospital. There is no charge for the Email-a-Patient service. Please note that the Email-a-Patient service is limited to two messages, per sender, per week. Messages received Monday through Thursday will be delivered on the following day. Messages received Friday through Sunday will be delivered on the Monday. Messages received on an HHS recognized holiday will be delivered the next business day. While we will make every effort to deliver on the above schedule, circumstances beyond our control such as disruptions in email service can delay delivery. In the event that the message is undeliverable, a notification will be sent to the email address provided in the message. Patient confidentiality is a priority and will be respected, however, please ensure that you treat your email as if it were a postcard. Do not include any confidential, medical or private information in your message. All undeliverable emails will be disposed of securely. (905) 521-2100, ext. 76584 or hhsva@hhsc.ca. The Email-a-Patient program is operated by the Hamilton Health Sciences Volunteer Association (HHSVA). Read more about the HHSVA. For family and friends of patients in-hospital requiring accommodation, we have listed several options below for your reference. You may also speak to the social worker on the unit who may be able to provide you with additional resources. Some hotels offer a reduced rate to family members. Ask the hotel reception when calling. Ronald McDonald House is a temporary home for parents of children at McMaster Children’s Hospital, located a half-block away. Families pay a $10.00 fee to help offset the operating expenses of the House. Please contact hospital staff for more information or if you want to be referred to the House. Mark Preece Family House is a low-cost accommodation for families in need. 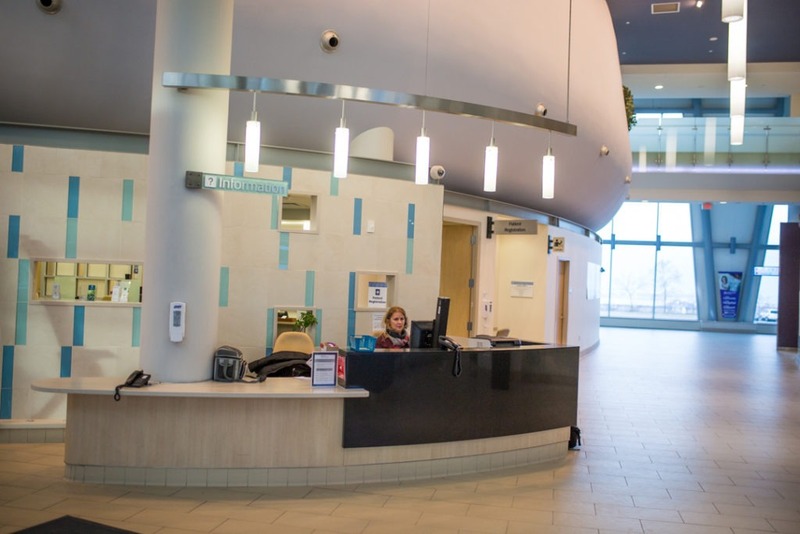 They are located near Hamilton General Hospital but also accommodate patients of Juravinski Hospital and Cancer Centre and St. Peter’s hospital. For the health of patients and staff, please do not bring latex balloons or other latex products to the hospital. Latex balloons are prohibited in all HHS facilities as they can cause allergic reactions in some people. Alternatively, MYLAR (shiny foil) balloons may be brought into the hospital. Please do not bring or wear perfume, cologne, scented soaps, creams or hair spray. Please use deodorants in moderation. Visitors, patients and staff are not permitted to smoke in any of the hospital’s buildings or anywhere on hospital property, including parking lots, garages and vehicles. Provincial law also prohibits smoking within nine meters (30 feet) of any hospital entrance. Hospital security and municipal by-law officers enforce these restrictions. Hamilton Health Sciences recognizes that family and friends play an important role during a patient’s hospital stay and can contribute to a positive patient experience and positive health outcomes. That’s why Hamilton Health Sciences does not have specific visiting hours. Rest and sleep are important for our patients. You may need to shorten visits if the patient is tired and needs rest. Please do not visit if you feel unwell or have symptoms such as cough, fever, runny nose, sore throat, diarrhea, vomiting, or a new rash. Children are not restricted by age but must be supervised by an adult, other than the patient, at all times. Your visit may be interrupted to provide patient care. We ask that if care is being provided by the care team that you wait until they are finished to visit. Patient safety is a top priority for Hamilton Health Sciences. In hospitals, the risk of infection is high and extra care needs to be taken to reduce the spread of germs. Visitors are reminded to regularly wash your hands with soap and warm water, especially after eating, coughing, sneezing and using the washroom. Hamilton Health Sciences has provided hand sanitizer for visitor use throughout our hospitals. Please use this often during your visit. Remember to make sure your hands are dry after applying the sanitizer before you touch anything. Respecting each other is important when we experience challenges. Being in the hospital can be frustrating and stressful. We would like to hear and discuss any concerns you may have. Together we can find a way to resolve them. Learn more about patient safety in our hospitals. Where can I shop and eat?